I have learnt what a spotted flycatcher is! 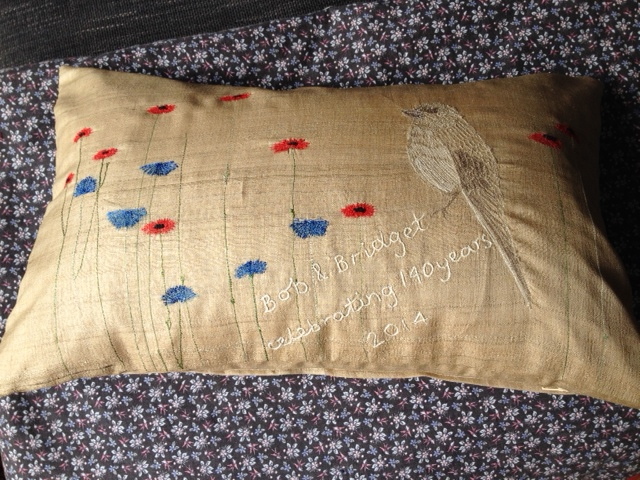 The power of google… I was asked to make this cushion for a joint 70th birthday, with this bird, poppies and cornflowers. Enjoyed using silk paints as well as embroidery and I think it’s a stunning effect. The first picture shows the silk colour better! 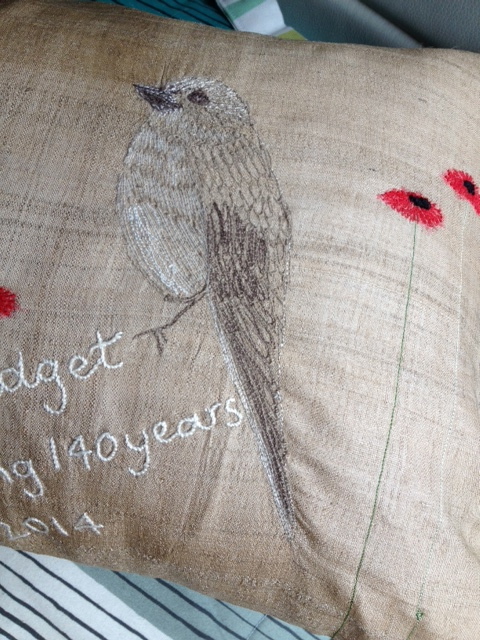 This entry was posted in cushion, embroidery, sewing, silk. Bookmark the permalink.